Living in the city has many benefits, but sometimes you need to escape from the hustle and bustle and unwind. If you’re in need of a weekend getaway from Pittsburgh, give Deep Creek Lake in Maryland a try! Just over two hours from Pittsburgh, Deep Creek Lake has everything you need to enjoy some time away from your daily grind. 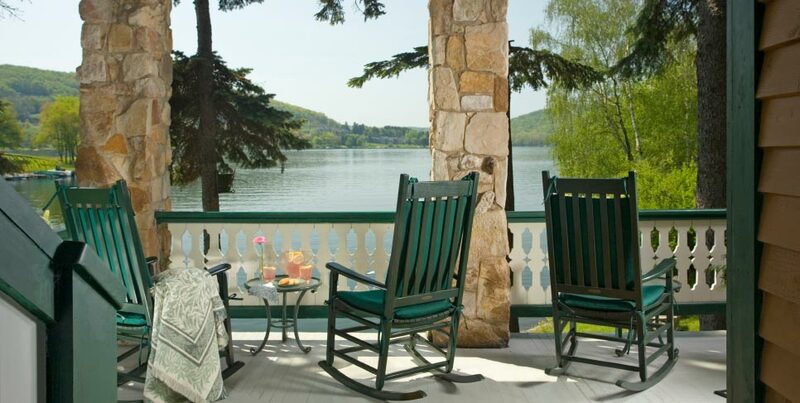 Come up and stay at Lake Pointe Inn in Deep Creek Lake for the best weekend getaway from Pittsburgh. The waters of Deep Creek Lake cover 3,900 acres and offer beautiful scenery as well as opportunities for recreation. Boat rentals are available at nearby businesses, so if skiing, wakeboarding, tubing or simply cruising are your idea of a good time, then you’ll be in heaven at Deep Creek Lake. Fishing is another popular pastime in Deep Creek Lake and you can expect to catch small mouth bass, trout, pike and carp during your weekend getaway from Pittsburgh. The forested areas around the lake offer ample opportunity for hiking or mountain biking if you’re more of a land dweller. Deep Creek Lake State Park has amenities including trails for hikers and cyclists, a discovery center, boat landings and swimming beaches. Just across from Lake Pointe Inn, Wisp Resort has adventurous activities for all seasons. Popular warm weather pastimes are the Mountain Coaster, disc golf, traditional Golf Courses, and Canopy Tours. There is always a thrill waiting for visitors at Wisp. However, to get the most out of your weekend getaway from Pittsburgh, you don’t have to stray very far from Lake Pointe Inn. Our luxurious Logan bed and breakfast is in a fantastic location, right on lake, so you’re never far from fun. Our guests have access to kayaks, canoes and bicycles to explore the area around the inn. Our pontoon boat, the Tight Squeeze, takes an evening cruise each day during the summer, so you can sit back, relax and soak in the serenity of the surroundings. And for some real stress relief, book a massage in our massage room, which is exclusive to inn guests. Enjoy reflexology, hot stone therapy or a classic Swedish Massage from a licensed professional therapist. 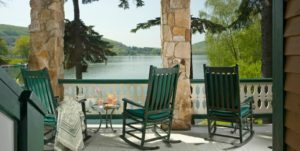 When you’re planning the ideal weekend getaway from Pittsburgh, don’t forget to book your stay at Lake Pointe Inn. Our Deep Creek Lake bed and breakfast has all the modern amenities you expect, along with a certain rustic charm that will enchant and delight you. Our rooms and suites are perfectly suited for lounging and taking in the beautiful surroundings of the inn. Each is individually decorated in the Arts and Crafts style, but they all have their own private bath, some with spa tubs. Of course, each day of your stay will start out on a delicious note, as each morning you’ll get a full homemade breakfast with a hot entree as well as a selection of cereals, baked goods and more. And complimentary refreshments such as beverages, fruits, and popcorn are available to guests all day. Book today and let make your weekend getaway from Pittsburgh the ultimate in recreation and relaxation.